Providing clean water to a man, woman or child who has never had the luxury of taking water borne illnesses for granted is one of the greatest gifts anyone can give. In Africa water borne illness accounts for more than half of all visits to the hospital and kills millions each year. But, that is only scratching the surface of the tragedy, many people who don’t have access to clean water sources are forced to buy bottled water which typically costs at least five times as much as clean tap water. 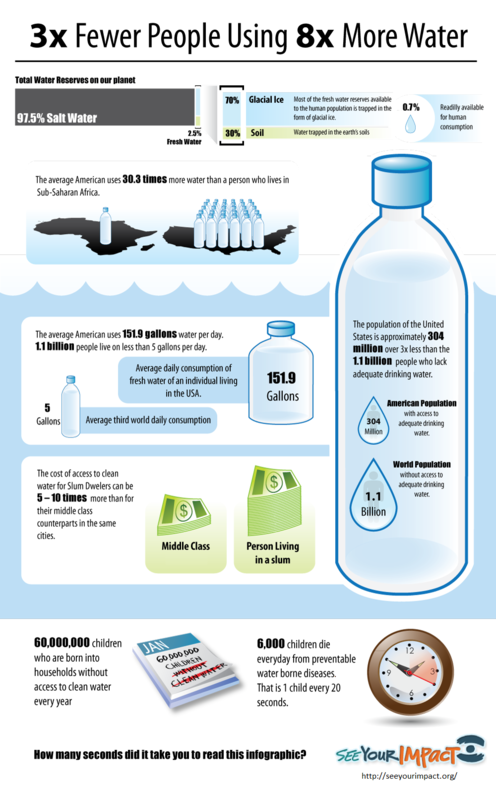 It is estimated that it would only cost 1.7 billion dollars more each year to provide clean water worldwide. SeeYourImpact and our partners help empower families and villages by providing clean sources of water such as wells and water filters. Find out more about SeeYourImpact and clean water.